1 handful of roasted unsalted cashews (20 nuts, 150 calories). I was really hungry since I hadn't eaten anything since 9pm last night, but my boyfriend didn't want to get up and grab food with me at the cafe downstairs. 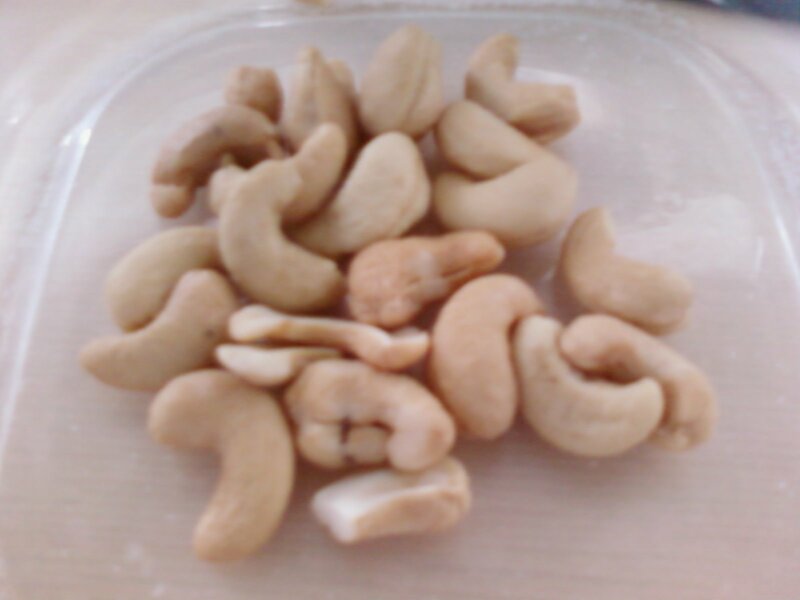 So I resorted to eating some cashews to curb the hunger a little. They were pretty good. I've loved cashews since I was a little girl, to the point where people would bring me gifts of gourmet cashews instead of other things haha. They're crunchy but also kind of buttery, which is different from peanuts or almonds, and I like that. 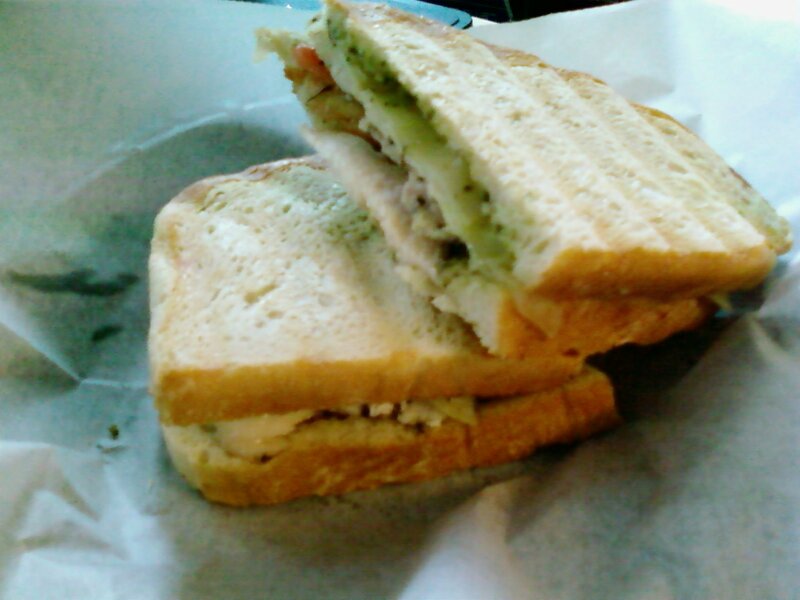 Rest of the chicken pesto panini ( ~300 calories). Yum. Probably going to eat some of my boyfriend's leftovers in his fridge for dinner later on. 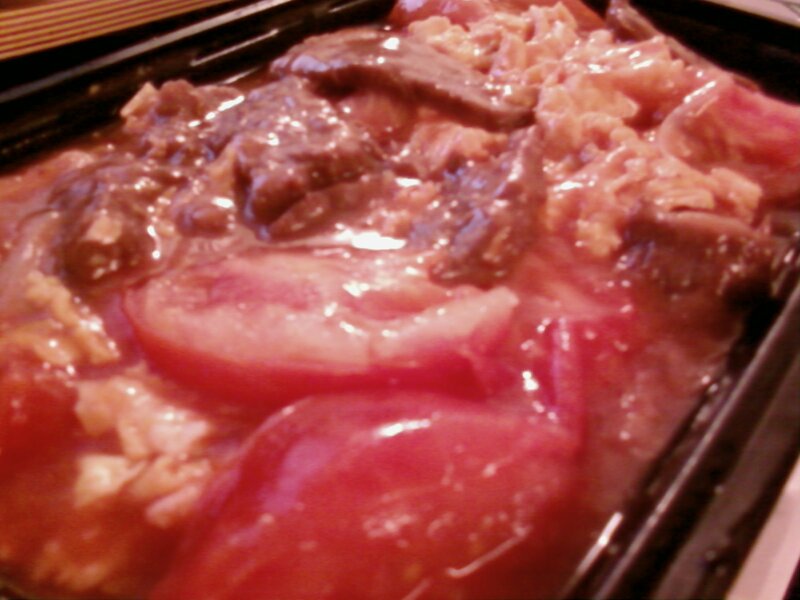 1 cup of beef with tomato and eggs ( ~300 calories), 3 pieces of bean curd with ground shrimp ( ~200 calories), and 1 cup of white rice (200 calories) from Quan's Kitchen. Haha told you dinner would be late. Yeah, decided to ditch the leftovers in favor of fresh food. I love beef with tomato and eggs, my mom used to make tomato and eggs all the time because it was one of my favorite dishes as a child. With beef, the dish tastes exactly the same, except there's some pieces of beef thrown in. While the tomato makes the dish tart, the sauce itself when eaten with the beef and egg is sweet-ish, which I've mentioned I like. 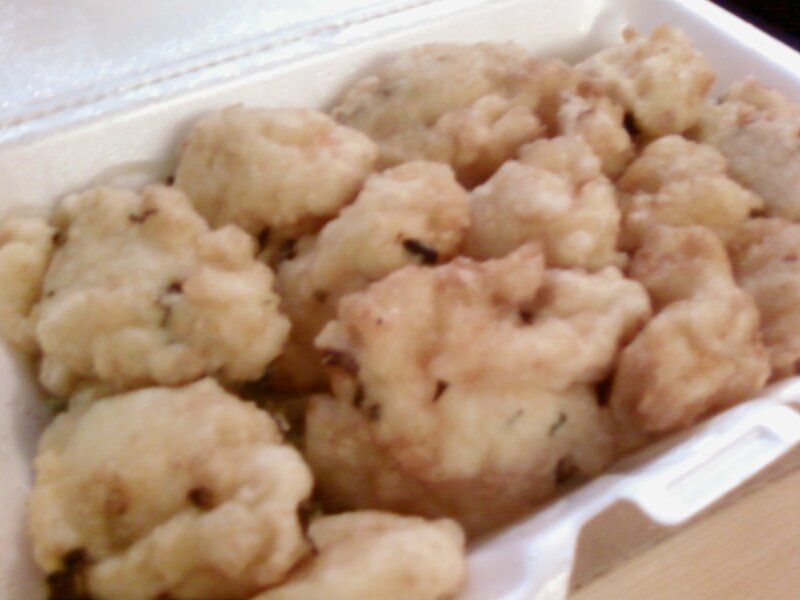 The bean curd was okay, though the texture was kind of funny and I couldn't taste any of the ground shrimp. 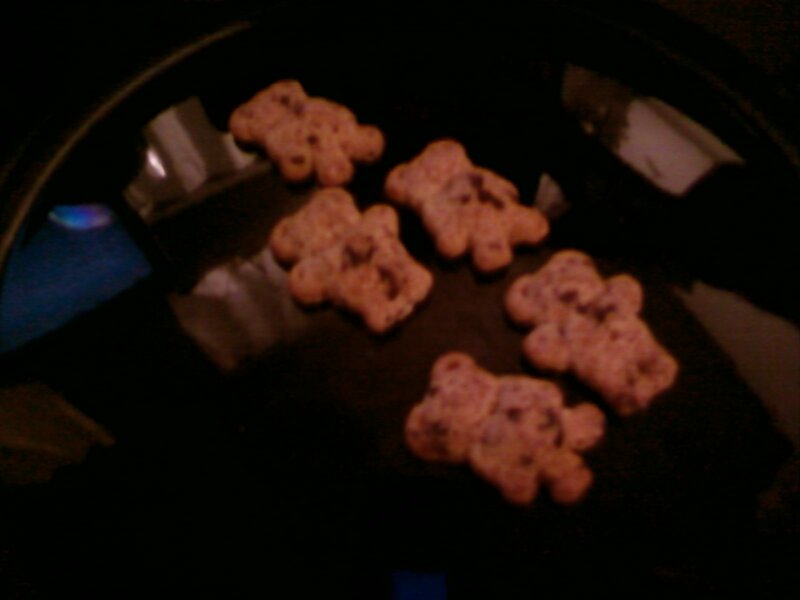 5 chocolatey chip flavored Teddy Grahams (25 calories). Just a little something to satisfy a craving for sweets. They're so cute too! This entry was posted on Saturday, March 17th, 2007 at 9:41 pm	and posted in American, beef, Chinese, fruit and nuts, seafood, snacks, Uncategorized. You can follow any responses to this entry through the RSS 2.0 feed.